Animation is one of the hottest and most creative areas of film-making today . During his more than 40 years in the business, Richard Williams has been one of the true innovators, and serves as the link between the golden age of animation by hand and the new computer animation successes. 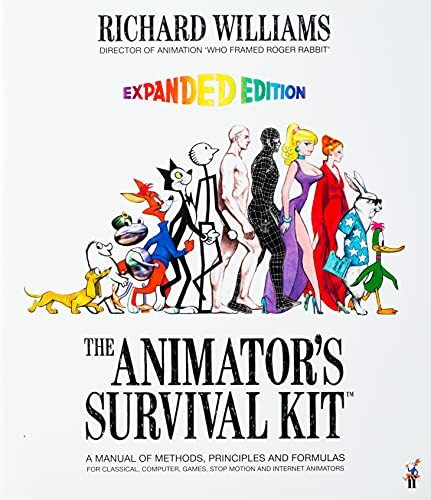 In this book, based on his sold-out Animation Masterclass in the United States and across Europe, Williams provides the underlying principles of animation that very animator - from beginner to expert, classic animator to computer animation whiz - needs. Using hundreds of drawings, Williams distills the secrets of the masters into a working system in order to create a book that has become the standard work on all forms of animation for professionals, students and fans. Richard Williams is best known as the Director of Animation and designer of the new characters for Who Framed Roger Rabbit, for which he won two Academy Awards, including a Special Achievement Award. Williams has also animated title sequences for Return of the Pink Panther, The Pink Panther Strikes Again, What's New Pussycat, Casino Royale and linking sequences for The Charge of the Light Brigade, as well as countless prize-winning commercials.